According to the UPSC notification issued Tuesday, 18 March is the last date to apply for the civil services exam. New Delhi: The Union Public Service Commission (UPSC) has announced that candidates can avail of the quota for the upper-caste poor from this year’s civil services exam, but confusion prevails over how exactly it will be implemented as the government is yet to issue the required income and assets certificates. 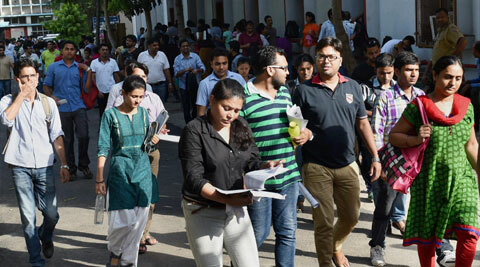 According to the UPSC notification issued Tuesday, 18 March is the last date to apply for the civil services exam, which guides recruitment to the Indian Administrative Service (IAS), the Indian Police Service (IPS), the Indian Foreign Service (IFS) and over 20 other Group-A government jobs. Since this is the maiden run for the quota, introduced by the Narendra Modi government just earlier this year, candidates from the economically weaker section (EWS) have been given a longer window to get the certificate. Candidates claiming reservation under any quota have to posses certificates dated earlier than the closing date of applications for the preliminary examination (18 March). However, for the EWS category, a one-time exception has been made to allow certificates dated before 1 August 2019, when the applications for the mains exam will be submitted. This has triggered fears that a lot of people who claim to be eligible for the EWS quota at the prelims stage may emerge as ineligible when they finally get their certificates. “For any reservation, certificates are invited only at the mains or the interview stage… So, people can claim anything at the prelims stage, but have to give certificates later,” a senior official in the UPSC said. “In this case, however, there could be more confusion since there would be people who may actually think they will qualify for the EWS quota, but don’t end up qualifying eventually,” the official added. Seeking to dispel aspirants’ doubts, an official in the Department of Personnel and Training (DoPT) told ThePrint that state authorities had been “advised to issue certificates expeditiously with utmost care for veracity and authenticity of certificates”. The certificates, the official said, should be ready by the time the mains exam takes place. However, some in the government remain sceptical about whether states will be able to issue certificates within five months. The assets one’s family owns, including farm land and residential flats over 1,000 square feet in area, constitute some of the other criteria. According to the memorandum, the certificates will be issued by an officer not below the rank of a tehsildar in states and union territories. So far, the UPSC has not informed candidates over how the income certificates can be obtained, and who the issuing authority for those certificates would be. Asked about the likely issuing authority, the DoPT official quoted above said it would be “the same authorities who issue certificates to OBC candidates, including [for the] creamy-layer status”. Talking about the documents candidates may need for the certificates, Zafar Mahmood, founder of Zakat Foundation, which trains civil service aspirants, said it would boil down to a statement of one’s income and assets. “Whatever is the last received income as certified by the income tax department is proof of one’s income,” he added.